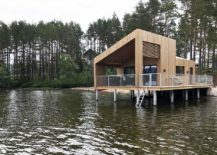 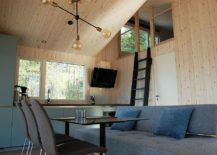 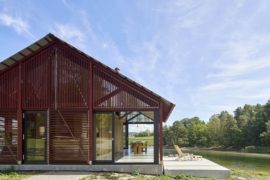 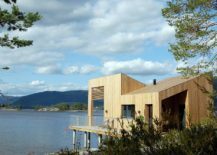 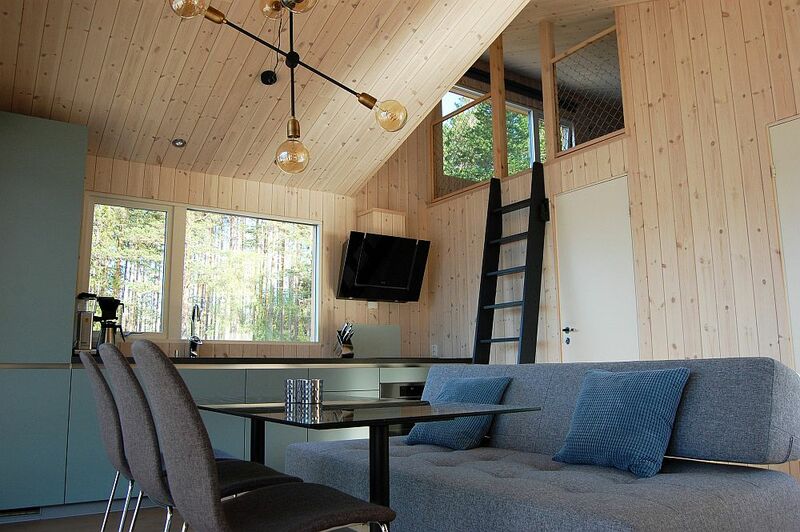 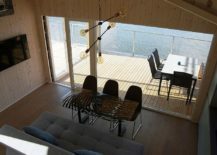 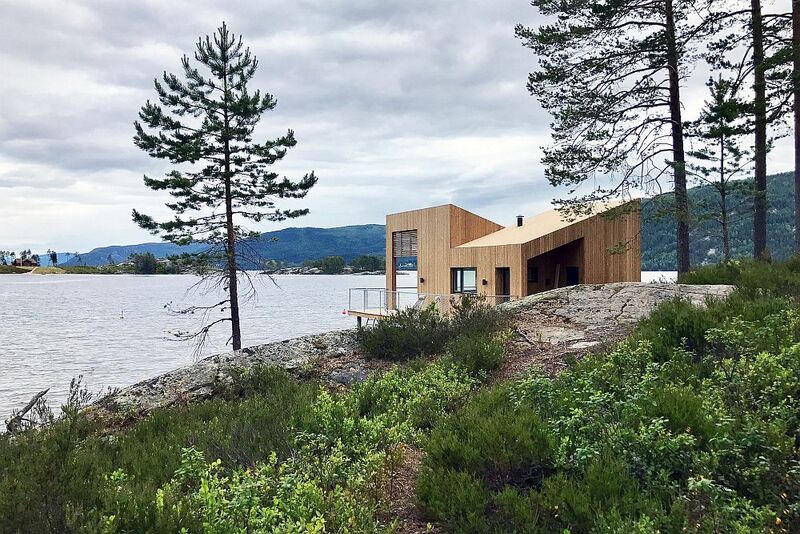 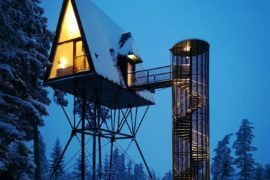 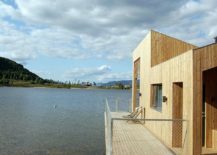 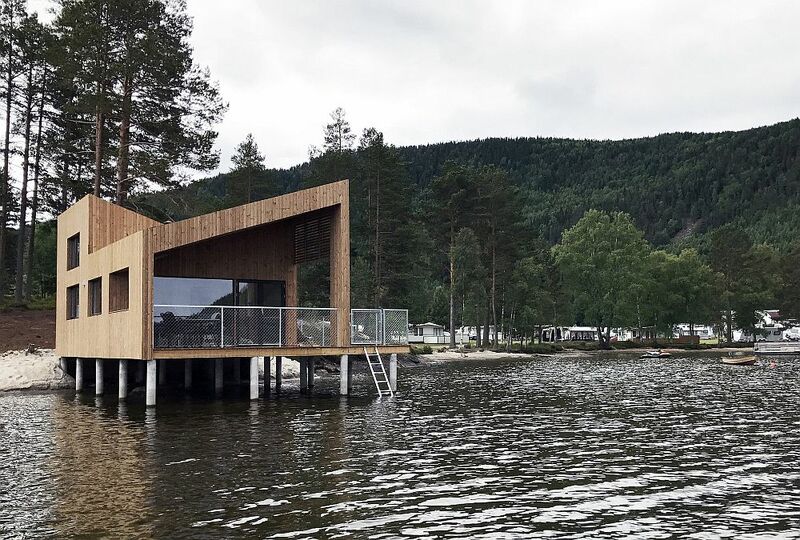 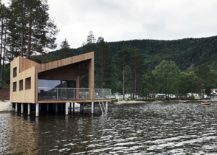 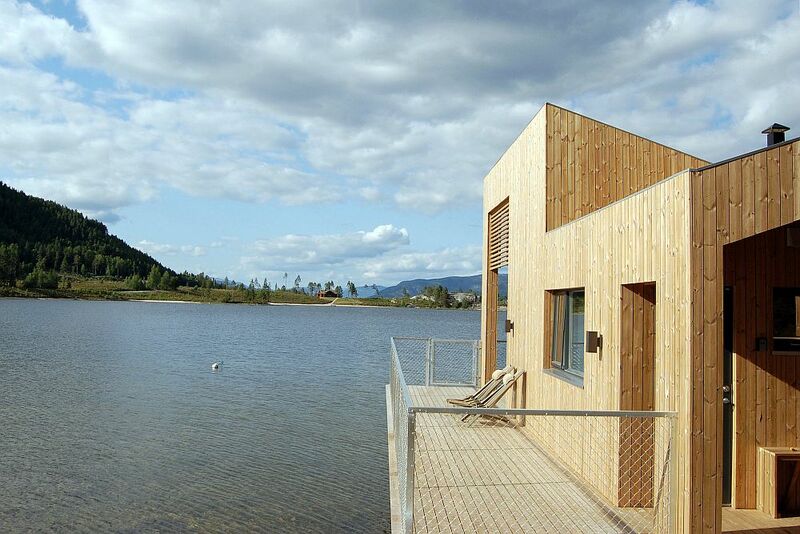 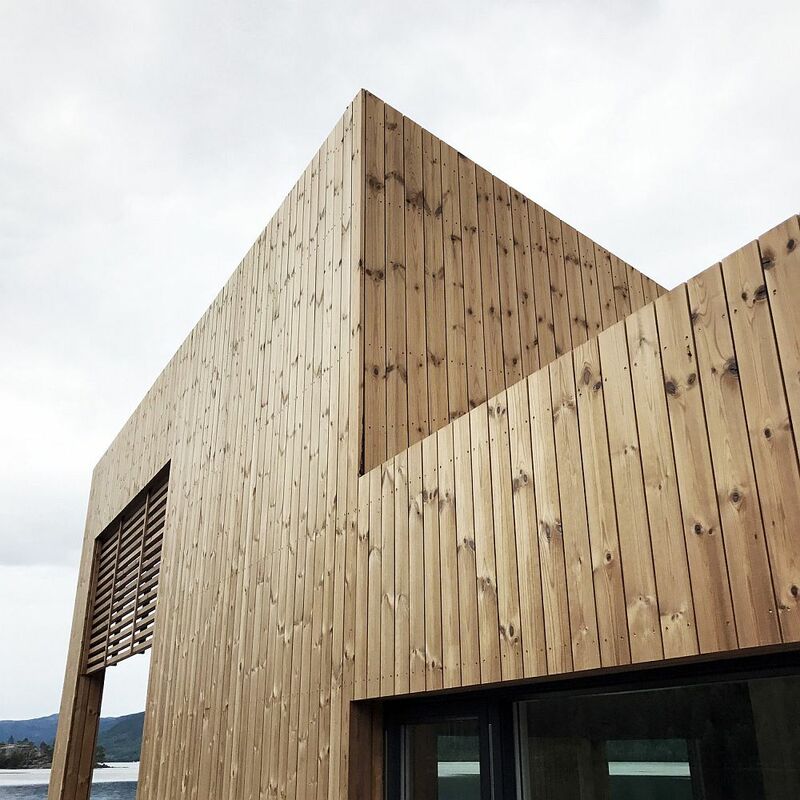 Having started as an idea for a cabin that floats on water ever so gently, the Nisser Micro Cabin ended up as a cabin on stilts that still allows its owner to enjoy live on a lake without breaking the local building codes. 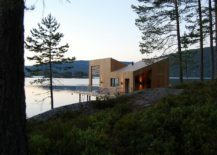 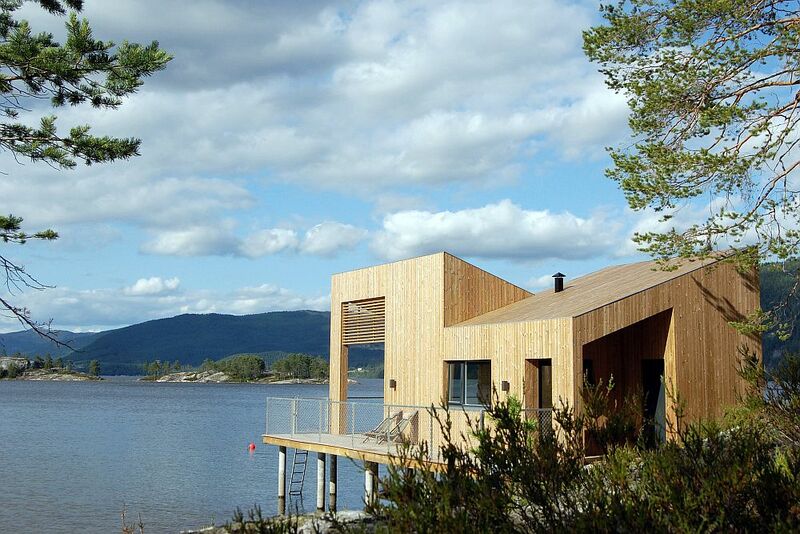 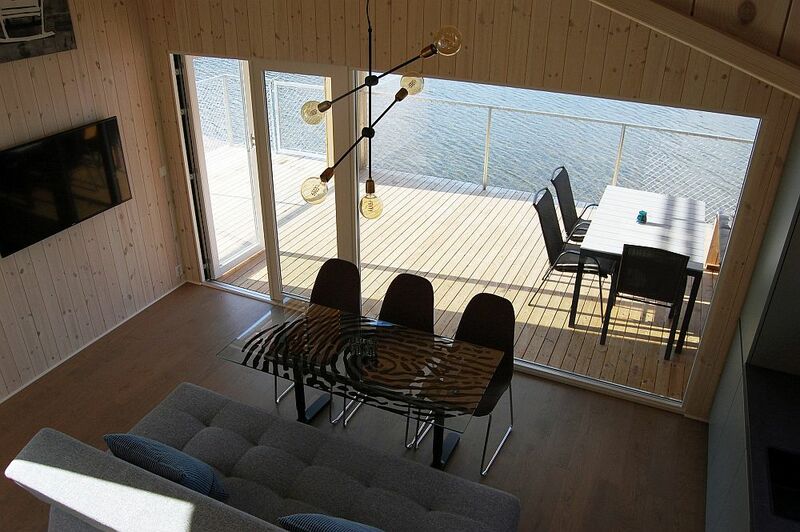 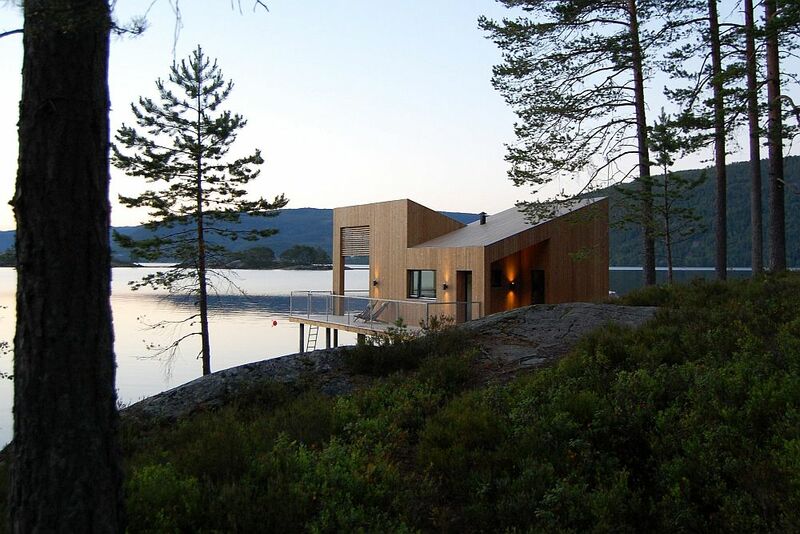 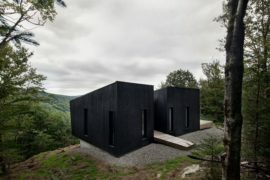 Moving away from the more expansive lakeside cabin designs that one can find across the gorgeous Norwegian landscape, this minimal and modern cabin is draped in pinewood and glass. 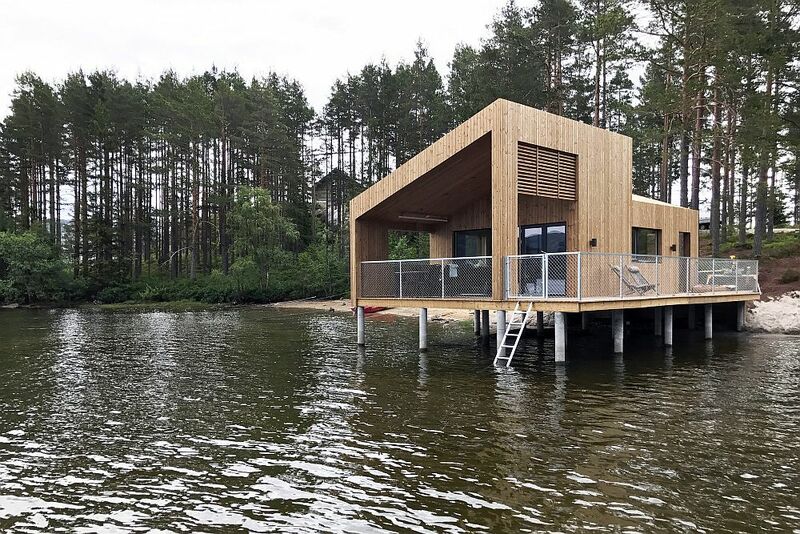 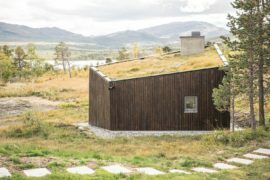 Designed by Feste Landscape / Architecture, the 26-sqaure meter cabin has a small mezzanine level and a stylish deck that allows its denizens to relax outdoors and enjoy a stunning view of the lake and the landscape beyond. 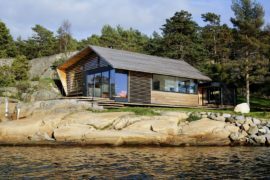 Despite its warm and inviting appeal, clean lines and modern silhouettes ensure that the exterior of the cabin presents a private and distinctly contemporary appeal. 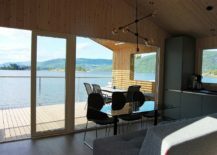 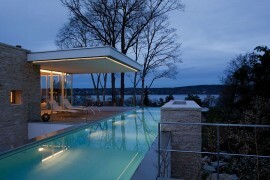 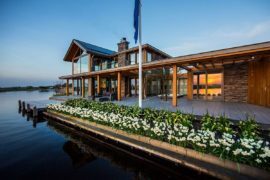 All the drainage and electrical pipes have been carefully concealed while a wall of glass opens up the interior to the lake and the scenery outside. 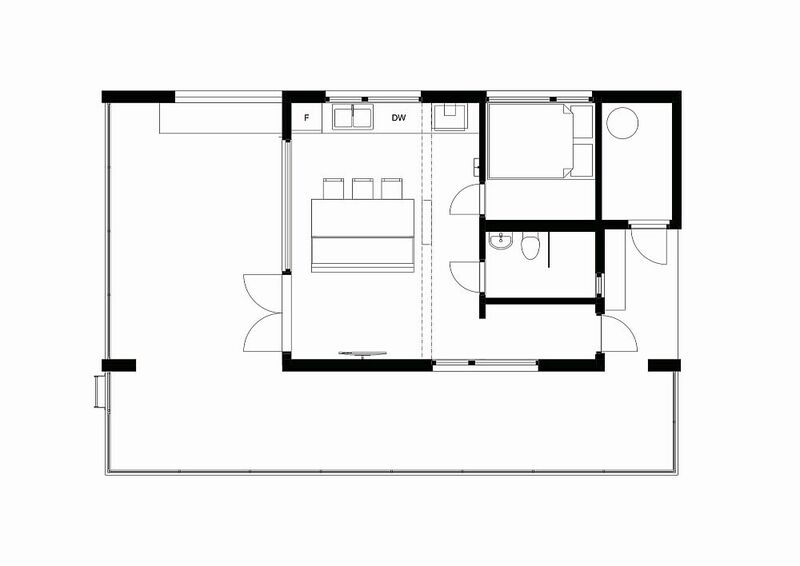 A small kitchen, dining and living area occupy the lower level with a mezzanine floor bedroom. 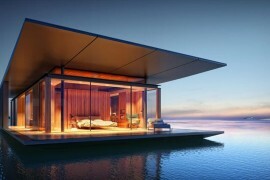 RELATED: 8 Fabulous Floating Homes That Will Make You Want to Live on Water!